The end of August – where did it go?? – so time for the next canvas print up on the website. As before, this is a limited edition of just six, the canvas is mounted onto a sturdy wooden frame, and is ready to hang – or it could be framed, just as you chose. White dinghy on the mud – this was a dinghy at West Mersea, resting on the mud in the sunshine, just after the tide had gone out. 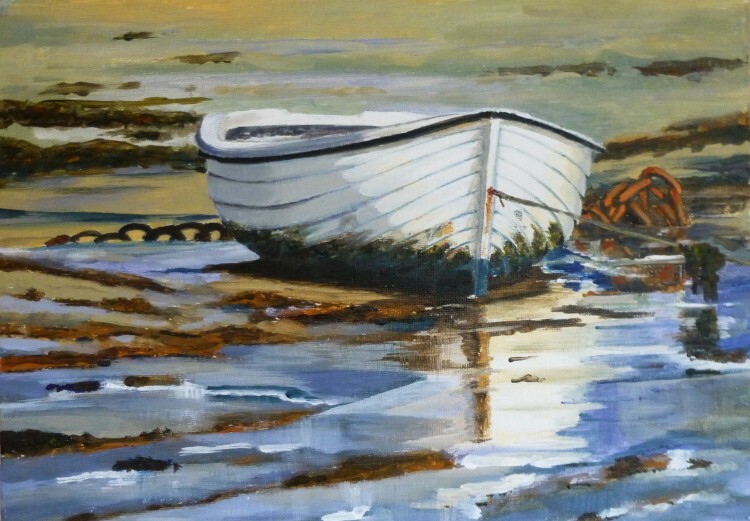 I really enjoyed painting the reflections in the wet mud, and the rusty chain abandoned on the sand in the background.